Intro / TOC #130 | Tape Op Magazine | Longform candid interviews with music producers and audio engineers covering mixing, mastering, recording and music production. 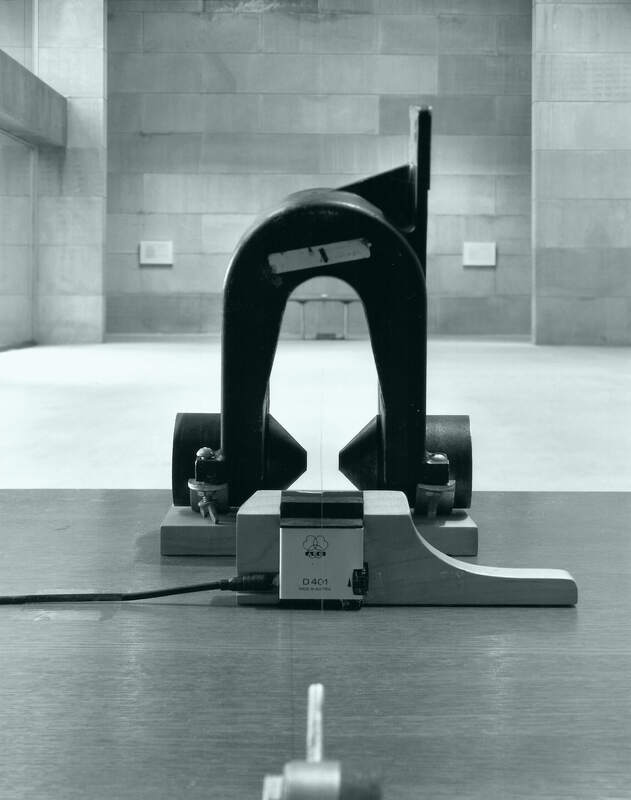 Photo: Chambers, courtesy of Alvin Lucier. See his interview here. I'm John Baccigaluppi, the other guy at Tape Op and this issue I'm writing the intro that Larry, our editor, usually writes. I've known Larry for over three decades now, and we've worked together on Tape Op for a majority of that time. We're still good friends, and I continue to enjoy putting together each issue of the magazine. After Larry sends me the editorial, I read through it, download photos from our FTP server, and get excited about the design and layout of each issue. Larry and I will go back and forth a bit about an issue's content, a few weeks in it's mostly laid out, and then I turn it over to Scott McChane. Scott helps with the pre-press stage of the magazine, and then a few weeks after this you, the reader, have a print magazine in your hands. Easy, right? Well, there's a bit more to it. We have some great people helping us out with every issue, although the past two years have brought a lot of change to the Tape Op family. Most recently, our best ad rep ever, Laura Thurmond, left for another job after 17 years with Tape Op. We're going to miss her a lot, but we wish her the best at her new gig and we know we'll stay friends with her and her family. Our other ad rep, Marsha Vdovin, is picking up the slack, and she's off to a great start. Marsha also helps with our social media postings. Around a year ago, our resident "Gear Geek," Andy Hong, stepped down as the gear reviews editor to focus more time on his family, as well as building a new recording studio in Nashville. The aforementioned Scott McChane, previously Andy's assistant, took over as gear reviews editor in addition to his pre-press work. Andy is still contributing as a writer, and Scott is doing a great job with the reviews section of Tape Op. Around two years ago, Dave Middleton stepped down as our online publisher after doing an amazing job in helping Tape Op develop a meaningful and integrated online presence. It turned out it was impossible to simply replace Dave, so we had to find two new people. Our online team of Anthony Sarti and Geoff Stanfield have taken what Dave started, and built it up into something even bigger and better. Let's not forget our virtual office helpers, Jenna Crane, Maria Baker, Jay Ribadeneyra, Jordan Holmes, and Thomas Danner! We have one more new member of the Tape Op family, Rich Catalano at Comag Marketing Group; our new newsstand distributor. Thanks to Rich and CoMag, Tape Op is now available at most bookstores – like Barnes & Noble – and we now have newsstand distribution in Canada. This may sound like a lot of change, but it's also part of the long-term, slow, careful growth for this magazine. I'm grateful to have been working with Larry all these years on Tape Op, and I look forward to many more issues. Oh yeah, while I'm sharing all this, I want to also say I'm very grateful for my awesome wife, Maria, the only other person in my life for over three plus decades! See you next issue!